What we throw away is something we give far too little thought. The moment each of us decides to be done with an item it becomes trash- and from that moment on its gross and filthy and disgusting and therefore filed away as not important. Can you imagine the magical forcefield we have created in our minds? All we have to do is take a delicious taco or burrito or apple or peach, and let it drop from hand height into a bin, any bin and it suddenly transforms, nay transfigures into something dirty and germ filled and gross, right? I mean, the custodian will come by under the cover of darkness and empty our bins and that magical cycle will continue where if you put items in the bin they will disappear. So the system is working fine, isn’t it? NO, it’s not and to explain why we even have some graphs!! 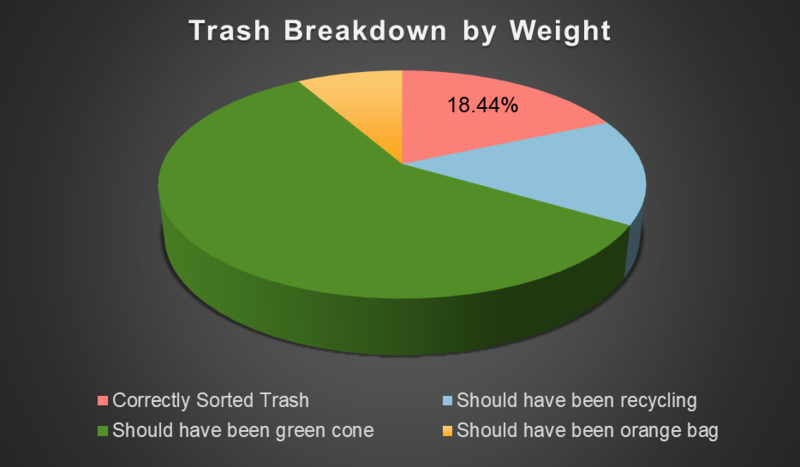 Why Dumpster Diving Matters: We have a mentality in our society we are not connected, we are not aware, and even those of us who care and try and want to do well are frustrated and struggling how to learn to accommodate this new trash system. Those of us who have started looking further into it is wondering how are Albertsons, Whole Foods and WinCo are still packaging their food in these plastics? Why is it so difficult to change the profile of my trash? Why are these municipalities not forcing us to make better choices? Why are we not as adaptable as Seattle or Portland? WE ARE but we are behind, which means we can learn from them and do better, with the proper planning of course. In the meantime, we better figure out how we’re supposed to discard what and why and to do that we need to know what it is that we are discarding! The first step towards Reduce, Reuse and Recycle starts with what we buy, but the first step to understanding what we need to change starts with learning what it is we are throwing away. 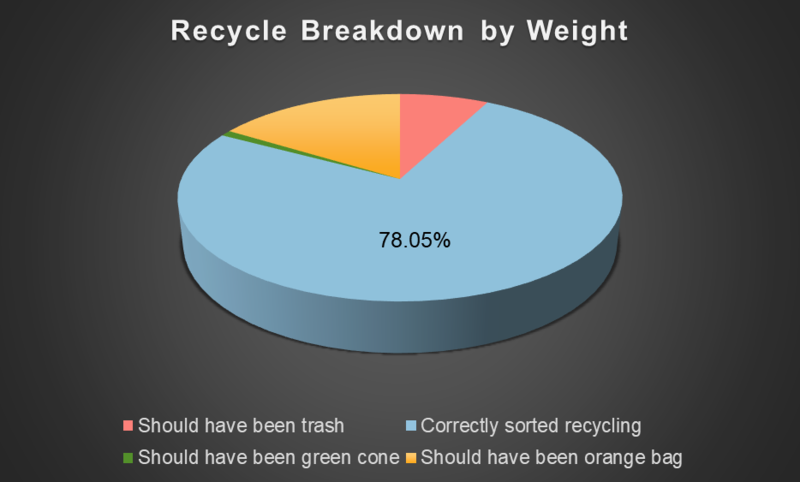 The Sustainability Club at Riverstone International School and I weighed, categorized and inventoried the trash at school a couple times to see what we are actually dealing with, we our mind’s eye set to first REDUCE first and foremost- what are these paper service plates doing being sent to the landfill, why are we using disposable serving trays and silverware for lunch service and who can we ask if any of this can be changed? 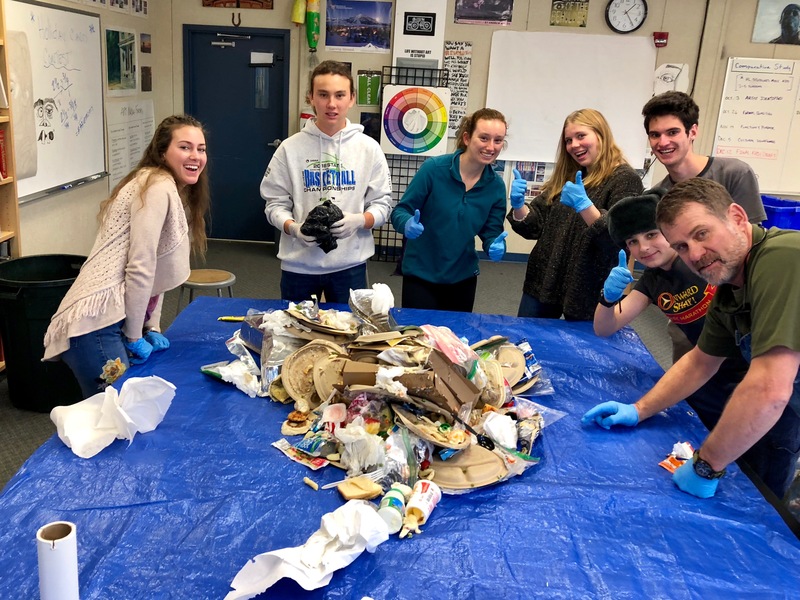 Our second goal is to identify what could be reused, well- if we used reusable products the vast majority of this trash stream would not exist- is any of this tenable at Riverstone this year? We, the student Sustainability Club and the school Sustainability Council are working hard to find out! 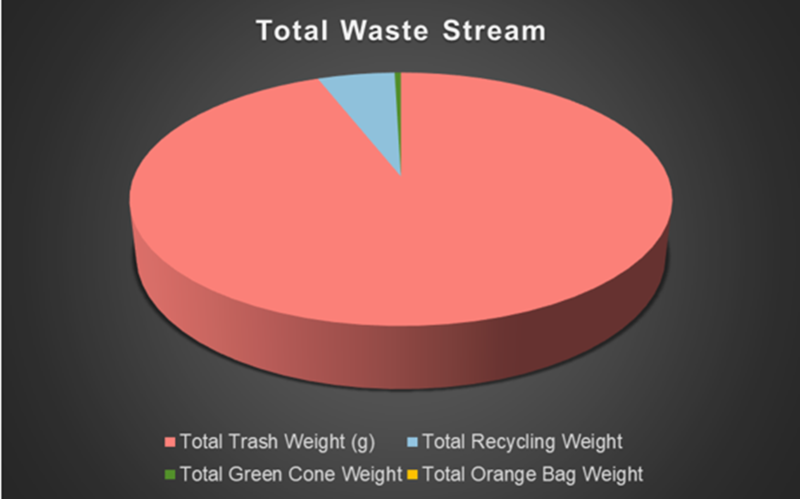 We have one more waste audit to conduct then the students’ plan to present their results and questions to the school- more on those pieces later! In the meantime, there are teachers and parents that have brought in their personal orange bags for collection of “Energy Bag” items. 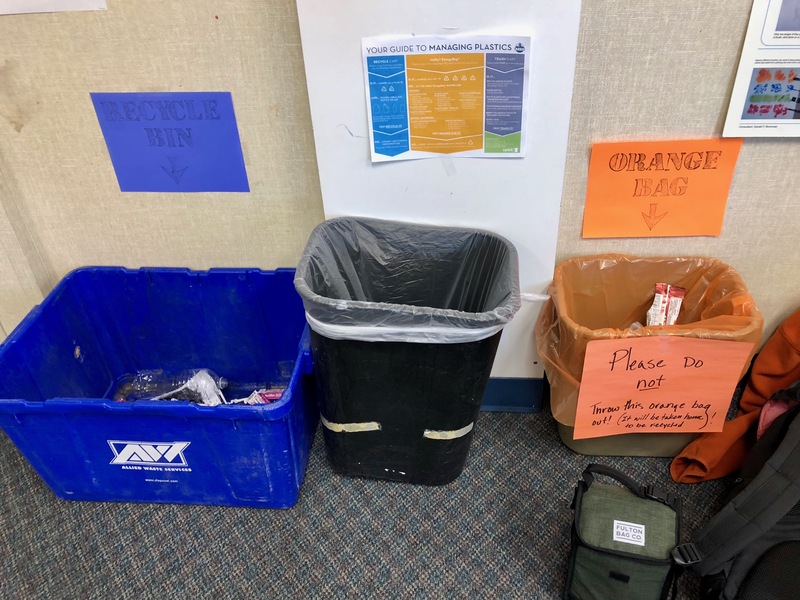 These bags have been approved for use in schools as long as the teacher takes them home to a residential recycling bin to have them collected. There is not commercial orange bag system in place for schools yet. The ultimate problem with our trash is not that that we don’t think about it once it is in a can- it starts much earlier in the consumption chain. Our biggest problem comes with purchasing. Our decisions to make trash are a piece of our daily lives- any time you are “shopping” think about what impact your purchase will make to your trash stream. There are amazing alternatives to single use cleaning products, single serve food items, single use grocery store plastics. I, for one, have given up buying myself a treat from Albertsons as all of the pastries I enjoy come in a non-recyclable, non- compostable, non- energy bag plastic container. I choose to vote with my dollars if I cannot find an outlet for my voice, will you join me?